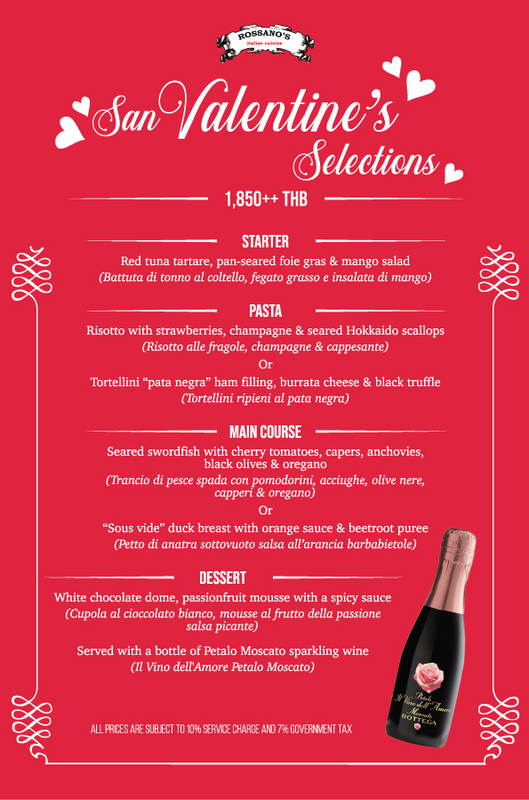 Rossano’s Italian Cuisine has created a select menu for the Day of Love, complete with a complimentary bottle of Petalo Moscato sparkling wine to fit the mood, all selected and prepared by Executive Chef Matteo Verini. Rossano's is a traditional Italian cucina serving gourmet cuisine in a convivial atmosphere. Back in 1983, Rossano's traces its history back to 1984 with the opening of L’Opera, one of the first Italian restaurants in Thailand. 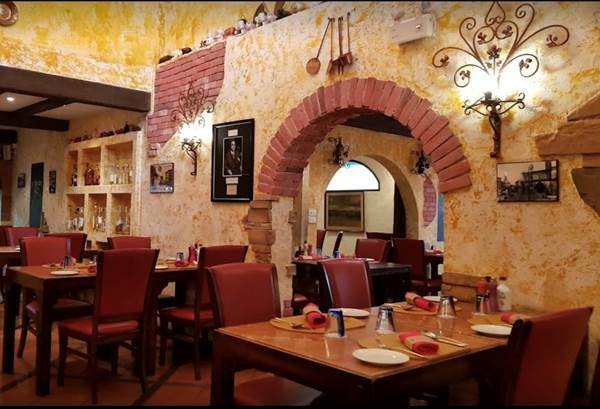 Despite several name changes and location moves, Rossano’s has continued its tradition of excellence through its original owner and now current General Manager Giorgio Lattuille. Rossano's guarantees the quality and taste of every dish through the excellence of Executive Chef Matteo Verini. A talented Italian gourmet who creates a full slate of new specialties every two weeks.